The root cause of many diseases is simply the fact that the bad bacteria in our body increases in numbers and we fall ill. Antibiotics help us counter them but at the same time render ourselves weak. Probiotics on the other hand help increase the level of good bacteria in our body and boost our immune system. Since the past few years, probiotics in India have become increasingly popular for a healthy lifestyle and overall wellbeing of the body. We have put together everything you need to know about probiotics in India. Our body is a host to billions of micro-organisms that help our body function smoothly. Hence, in layman’s terms, probiotics are good bacteria and yeast that supplement the naturally occurring good micro-organisms to help maintain our overall health. What are the types of probiotics in India and which one is good for me? Bifidobacterium is found commonly in dairy products. It helps alleviate IBS or irritable bowel and improves overall gut health. Lactobacillus is one of the most commonly used probiotics. It is present in fermented food like yogurt, kimchi etc and can help with improving your overall gut health. It is important to maintain the balance of probiotics or the good bacteria in our gut. A healthy gut means a stronger immune system that can fight bacteria, viruses, and diseases. Our digestive system is very delicate and it is essential to maintain its ecological balance. The quality of the food we eat and the water we drink can potentially disturb this balance leading to illness. Probiotics help improve the nutrient intake from the food we consume and help improve our overall digestion. Probiotics in India are also recommended when you have fallen ill. They help to counter the bad bacteria and protect you from the side effects of antibiotics. A combination of probiotics and antibiotics will help you get better soon. Why should I consume probiotics? Probiotics help in maintaining the gut health and promote nutrient absorption which ensures that our body and the immune system are functioning optimally. It is important to note that probiotics are not a substitute for medicine. They help with prevention and are not a cure. When you are ill, it is advisable that you consult a doctor before taking probiotics. Probiotics are safe for consumption and tend to have no side effects. Most probiotics in India are available over the counter and are not treated as medicine. However, people who have critical illnesses or have existing medical conditions are required to speak to their doctors before consuming probiotics. Why can’t I consume more yogurt instead of purchasing probiotics in India? While yogurt is a healthy source of probiotics, it may not contain probiotics in the amount required for it to be effective. Certain strains of probiotics are more effective others and it is important to research on that is best suited to you. What should I keep in mind before buying probiotics in India? Strain and its benefits: Every probiotic has a different strain which has certain health benefits associated with it. Before you purchase a probiotic, you should research on medical benefits associated with the strain. Dosage: The minimum dosage that you need to take is at least 1 billion CFU for probiotics to be effective. CFU or Colony Forming units: CFUs are an important factor to keep in mind before buying probiotics. One should look at the CFU count nearing the expiry date and not at the time of manufacture. Over time, the probiotic count in the supplement may go down and the probiotic may not remain effective. Storage and Stability: Some probiotics might have special storage requirements like keeping it in the refrigerator or away from direct sunlight. Follow those instructions carefully. A happy and healthy gut means a stronger immune system which leads to overall well-being. Probiotics are essential to improve our quality of life. Probiotics are live bacteria and yeasts that are good for you, especially your digestive system. … But your body is full of bacteria, both good and bad. Probiotics are often called “good” or “helpful” bacteria because they help keep your gut healthy. You can find probiotics in supplements and some foods, like yogurt. This is so informative. I remembered the first time I knew of the bacteria in some food products. I freaked out. That was when I was thought of probiotics and their harmless effect. Thanks for sharing. Probiotics are important for good health. I find a a bottle of good probiotics 4x year keeps everything working fine! I had no idea probiotics and gut health were so important! Thank you! Such a very interesting and informative post. I remembered the last time my daughter got hospitalized because of her diarrhea. The doctor gave her a 2L of IV fluids, antibiotics and 1 week intake of Probiotics and I am so amazed because after 3 times in 1 day of taking Probiotics my daughter’s diarrhea went gone and she’s finally eating solid food and playing with other kids. Probiotics are important for good health. This is very informative. Thanks for sharing. Yes! I always try to get my daily probiotics in. They’re so important! I heard probiotics but i dont have much information about this aside from it is good for the health. Thank you for this great article now I know what is the importance of it. I’d never heard of probiotics before but I’m definitely going to start eating more of this for sure! If it works for everyone else hopefully it will work for me. Thank you so much for sharing all this info!! Gut health can really impact so many things in our body! Never took probiotics but maybe I should give them a try! Oh wow, Such a great and informative post. 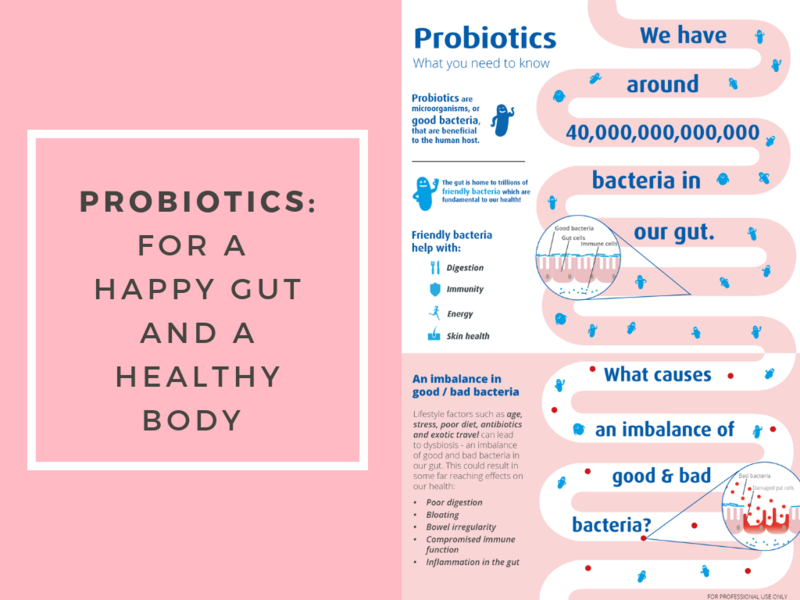 It is really a good thing to learn more about probiotics. Probiotic is really important especially to our health. It helps us a lot. This is such a great post. Some of us don’t know about the benefits of it. I love that we hear more and more of the benefits of adding probiotics into your diet. Those good bacterias help you ward off any sicknesses. I think I need to start taking probiotics to improve my overall health. Thanks for the reminder! We all take probiotics. We find our meds get absorbed more properly and are more effective, we feel better and not so tired and sluggish. It’s great you mention this. I’ve been using Probiotics for years! What brand do you normally take? An easy way for me to get the right type of bacteria is by eating yogurt. It’s good and good for you! A lot of people don’t realize that there are two types of bacteria, good and bad! This is some REALLY good information. I have recently been having issues with eczema flare ups for the first time in my life and one the things my doctor has been working with me on is cutting certain things out of my diet. It’s hard- but honestly if I had this information earlier in life I probably would have avoided a lot of suffering! I knew that probiotics were good for us, but I had no idea why. What a great read! I eat yogurt regularly to balance my gut bacteria. I believe mine is caused from dairy as I feel really bloated anytime I have a bowl of cereal or ice cream. This was explained very well. Gut heath is so important, and probiotics can go a long way in maintaining that balance. This was such an informative post! Probiotics are so important. I take them three times a day with my meals and it makes a huge difference. I had no idea how many different body systems were improved by making sure I added probiotics. It makes a big difference. Probiotics made a great improvement to my digestive system. Now, I make sure I include them everyday to stay healthy. Gut health is so important. I’ve been taking a Probiotic for the past year – its been 100% worth it. Probiotics products are alway for a healthy gut and help the digestive system works more effectively. I agree with your post. Thanks for sharing! Probiotics are very important, gut health is essential for our immune system and over all health. Great article. I completely agree that we need a healthy gut to have a long healthy life. Thank you for sharing all these amazing tips and education. I strongly believe happy gu leads to a happy person. When things are not fine in there is so horrible and everyday life immediately starts being way worse. Probiotics are a part of daily diet. Thanks for the great information. We all take probiotics regularly and have seen great improvements in our overall health. How interesting. More people should adopt probiotics and use it daily. We use it daily for ourselves, our kids and even our pups. Honestly this is one of those things people dismiss. Since we’re born we rely on our gut bacteria! Probiotics are an essential part of diets, thank you for putting that out there. Probiotics are so important and there are so many different ways to get them. It’s important to use the one that is the most effective. Thanks for sharing. Probiotics are something that we all need. Thi=ere are so many benefits that we could get from it. Oh I’ve been wanting to know about probiotics and why they’re beneficial! Thanks for this guide, seems like there is so much they can help with in your body! I find probiotics to be a very helpful resource for improving digestion. I don’t take them all the time, but I do like to incorporate them when my tummy doesn’t feel right. This is such important information! I never knew priobiotics were that important! I think probiotics are such a great way to improve digestion. Thanks for sharing such an informative and useful post. Such great explanations! I love the way you go through things and give the best tips possible. They are very important in our lives indeed.